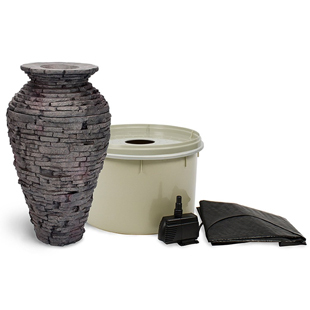 Aquascape Stacked Slate Urns have all the naturall beauty of real rocks with the added durability and light weight benefits of fiberglass. 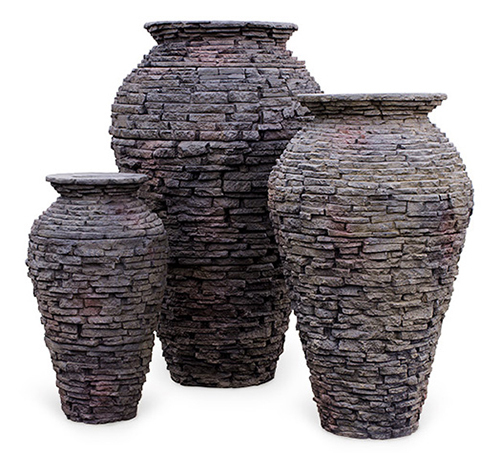 Aquascape fiberglass stone finish creates the soothing sound of trickling water making it and focal point of any setting. 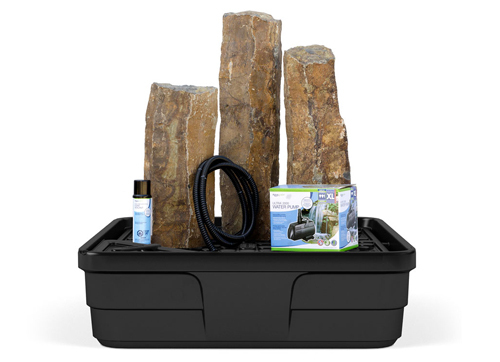 Create a natural paradise in your back yard. The Aquascape Fire Fountains provides the beauty and elegance of fire and flowing water in a bowl shaped GFRC reinforced concrete water feature. 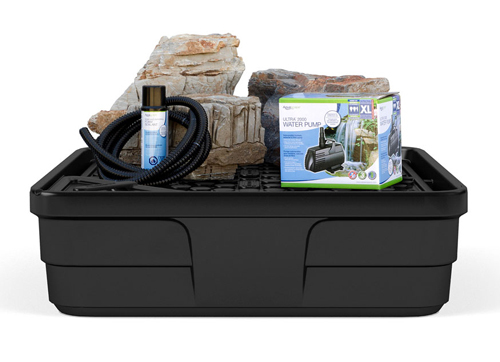 The self-contained feature is a simple plug and play water feature that sets up in minutes. 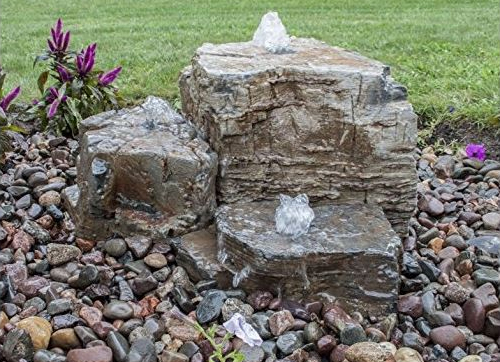 A fire feature in the center makes this fountain an ideal focal point or centerpiece to any outdoor setting. 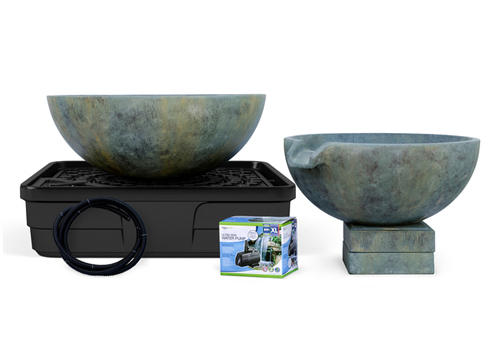 Inspired by our own construction creaw, the Aquascape Spillway Bowl, Basin and Stand allows for unlimited installation possibilities. 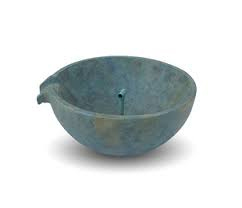 The Aquascape Spillway Bowl, Basin and Stand can be installed as a disappearing water feature or several Spillyway Bowls can be linked together for an amazing display. 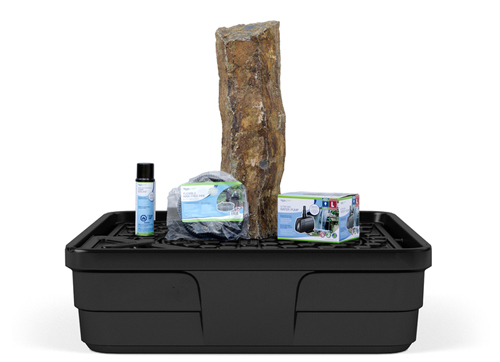 Aquascape Spill Bowls can also be used in combination with Aquascape 45. 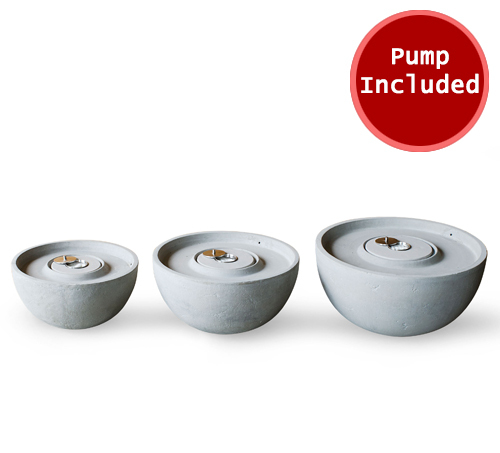 Ultra 2000 Water Pump recommeded. 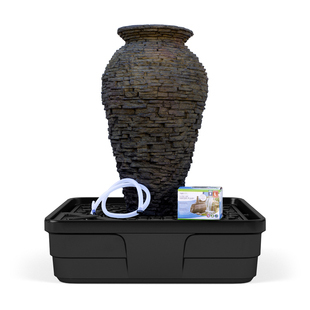 The Aquascape Spillway Basin is an ideal standalone overflowing water feature that will creates a beautiful, tranquil focal point in almost any setting. Can be paired with the Spillway Bowl and Stand. 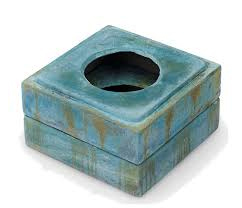 Use when installing Spillway Bowls or Basins. 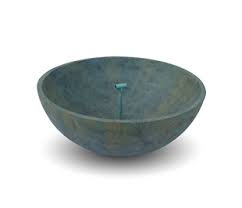 The Spilly Bowl Stand creates the ideal elevation between Spillway Bowls. 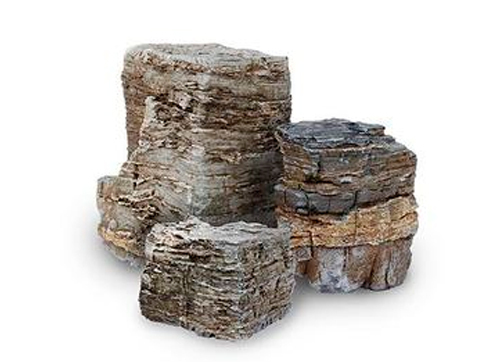 These beautiful, stratified limestone rocks have increadible foliation and one-of-a-kind shape and character that provide a beautiful rippling effect as water cascades over the suface of the stones. These natural stones provide impressive sights and sounds as water tumbles from the tall columns. 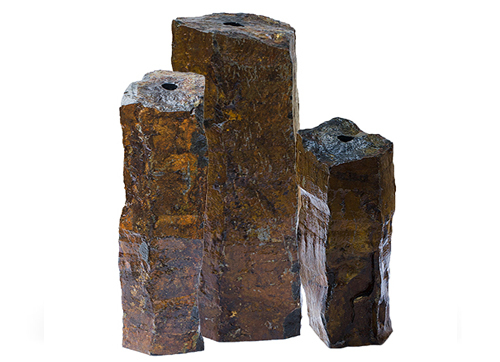 The amazing variation and texture options ensure there is a basalt column perfect for any location.